Both the Jeep Cherokee and the Jeep Compass earned important awards this month, recognizing their immense popularity with a diverse customer base during the fourth-annual Diversity Volume Leadership Awards. Hosted in Detroit, Michigan, this year, the Diversity Volume Leadership Awards are sponsored by the IFK Markit and the National Association of Minority Automobile Dealers and aim to recognize automobile brands that have the highest number of new registrations amongst multicultural consumers. Ultimately, the National Association of Minority Automobile Dealers hopes to increase the number of minority-owned dealerships across the country, supporting minority engagement in automotive service and sales sectors, and advocate diversity in the automotive manufacturing workplace. For this year’s awards, over 14 million all-new vehicle registrations were expertly analyzed in order to identify exactly which customer and consumer groups are driving sales for top worldwide automotive brands. 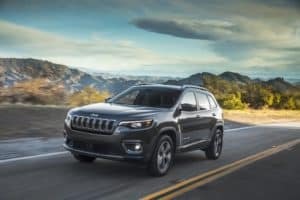 The latest Jeep Cherokee earned the highest year-over-year volume growth for African American Consumers, and the all-new Jeep Compass earned the highest year-over-year volume growth for Women, Millennial and Hispanic Consumers. Bashar Cholagh, Head of Dealer Network Diversity at Fiat Chrysler Automobiles, explains, “At FCA we continue to develop programs that promote diversity across all pillars of the organization. This focus allows us to celebrate and grow the diversity of our customer base through our dealer network, as well as brands and products. 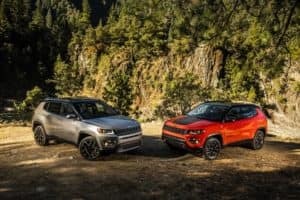 It’s a tremendous honor to receive this acknowledgment from our diverse customer communities to lead in the industry for sales of our products among these consumers.” Both the all-new 2019 Jeep Compass and the Jeep Cherokee are both available at Landers Chrysler Dodge Jeep Ram of Norman today. 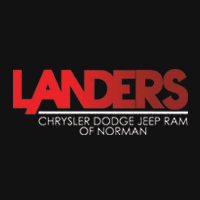 Landers Chrysler Dodge Jeep Ram of Norman is proud to be one of the top providers of Jeep vehicles in the great state of Oklahoma! Click here to visit us today.